Committee Goal: Research and collect materials relating to the All-America Football Conference. These materials will be organized and available for researchers as they become available. All-Pros Committee Goal: Generate a complete listing of All-Pro teams from all sources. Awards Committee: Generate a complete list of all AP and UPI awards and the voting for each of them. Committee Goal: Research and collect materials relating to the Canadian Football League. Committee Goal: The PFRA Education committee is dedicated to collecting (and developing) educational materials that use football as an example for instruction in math, history, geography and other subjects. Committee Goal: As you would expect by its name, this website is dedicated to analyzing and reporting on the link between the sport of football and geography. 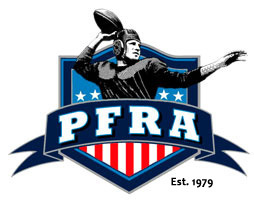 Committee Goal: The goal of the PFRA Gamebooks committee is to collect gamebooks and play-by-play accounts for all of the games in NFL history. These can be a valuable tool for researchers, but acquiring them can be an arduous task. The goal is to share the collective efforts of a number of researchers and pool the results in one location, hopefully to foster future research. Committee Goal: Solicit and sort through nominees, prepare all HOVG-related materials for Coffin Corner and prepare write-ups on the nominees. Committee Goal: Generate linscores for all games played since 1920. Committee Goal: Find ways to make it easier for PFRA members to contact each other and to know who is working on what research. Committee Goal: To compile a list of all NFL officials, their positions and their uniform numbers. Committee Goal: Document the play-by-play announcers, analysts and field reporters for every single broadcast of NFL and AFL games (regular season and post season) from 1939 to the present. Committee Goal: Research the World Football League. This would include line scores, game summaries and rosters.